Onggi is a type of traditional Korean pottery that is commonly used to prepare and store kimchi and other fermented things (like makoli). My arrival in Ulsan coincided with a festival in honor of Onggi and fermenting in a village on the southern outskirts of the city. 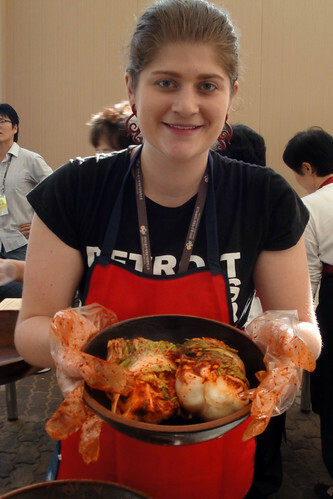 The Metropolitan Office of Education (my employer) organized a visit for interested native English teachers, including a special kimchi-making class that my co-teacher assured me was an important cultural experience. Within my first few weeks of teaching, communicating with my Korean co-teacher was still rather difficult, so I never determined where exactly I was supposed to catch the bus to the festival. And so on Saturday morning, I gathered in between Ulsan’s two main bus stations with a group of 30-some other uncertain foreign teachers to find our shuttle bus. We figured a giant group of foreigners would be easy enough for our bus driver to spot (we certainly weren’t unnoticed by the other natives passing by). Thirty minutes passed. No bus. Teachers started to grow impatient, some decided to leave. We noticed a sign across the street in Korean, that someone was able to read said ‘Onggi Festival Shuttle Bus.’ So we moved across the street. Another hour passed, and still no bus. 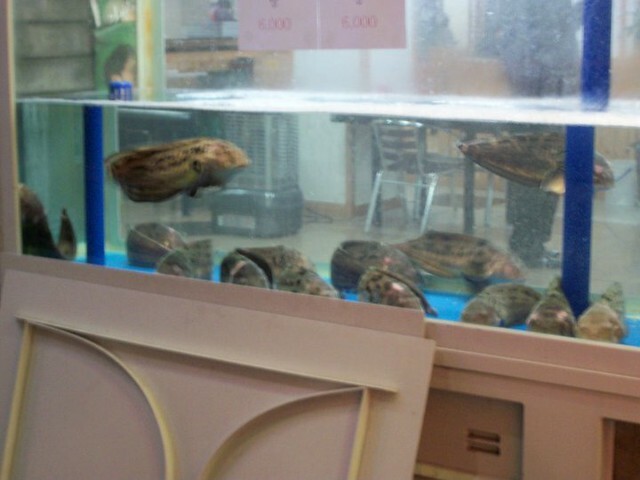 More and more foreigners gave up and left. One Korean-American teacher with some Korean language skills finally ended up on the phone with a very concerned and upset festival organizer, who assured us a bus was on its way. And sure enough, a bus did pull up. We quickly piled on, and then someone determined the bus wasn’t going to be leaving for another two hours. Everyone off the bus. At that point, most of the rest of the group left, just as a second bus was pulling up. The bus driver was able to communicate to the girl who could speak Korean that he was here to take us to the festival. 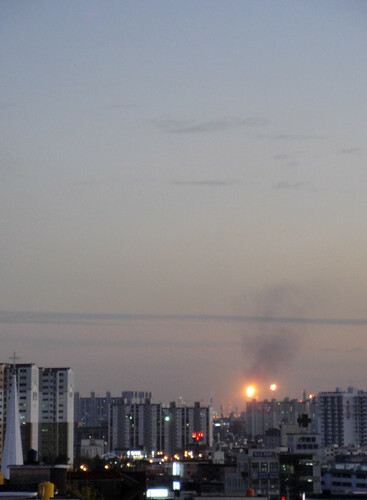 It was now about two hours after our initial point of departure. Half the group decided it wasn’t worth it and just walked away. But me, feeling guilty about leaving the bus driver without anyone to take to the festival, and still wanting to get in on my free Korean cultural experience, climbed aboard. 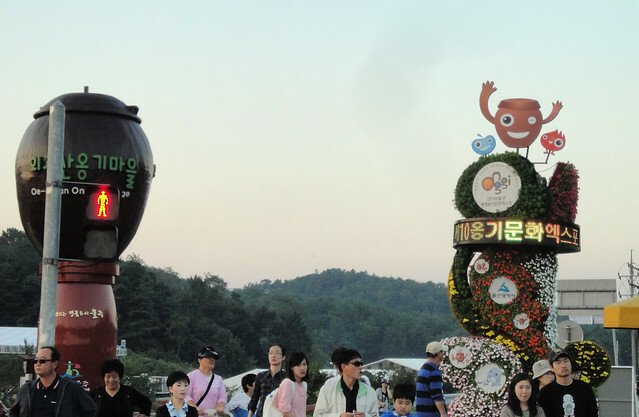 When we arrived at the festival, we were greeted by a couple of young Koreans in name tags. They threw some name tags at us and ran us across the festival into a tent where a bunch of foreign teachers were already making kimchi. 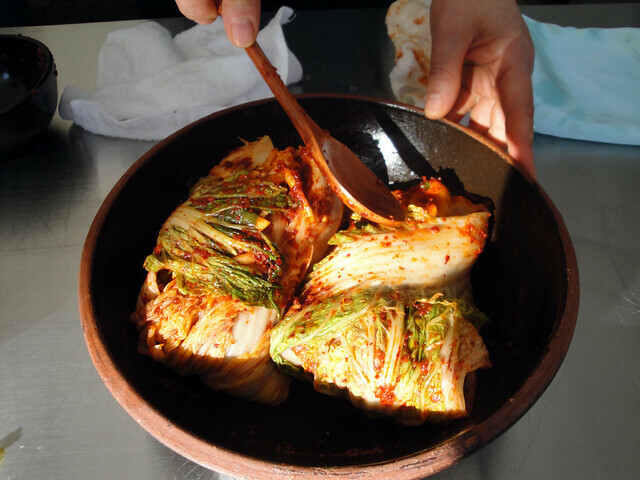 They quickly set us up at a kimchi-making station, where an ajumma brought over a few bowls of ingredients. My appointed ajumma brusquely guided me through the process, doing most of the work herself. The entire thing was over in 10 minutes, after which they judged the best foreigner kimchi, took several pictures of us with our kimchi, and then took back our name-tags and sent us on our way. The 10-minute whirlwind experience didn’t quite justify the 2 hour wait, but I did get a free onggi pot and enough kimchi to last me for months. 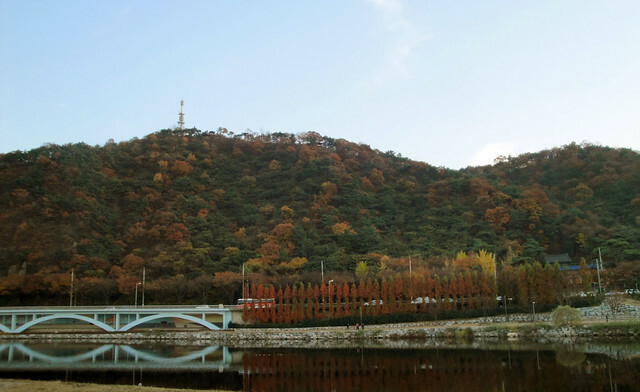 Fall was rather pretty around Ulsan’s Taehwa River. 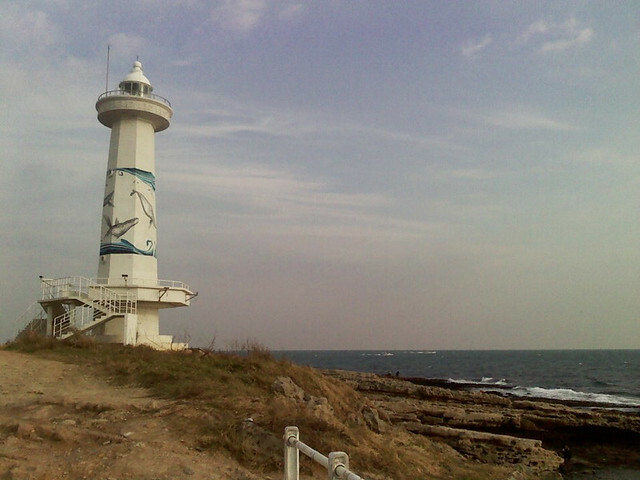 An exercising ajumma: one of the most common sites on the Taehwa. 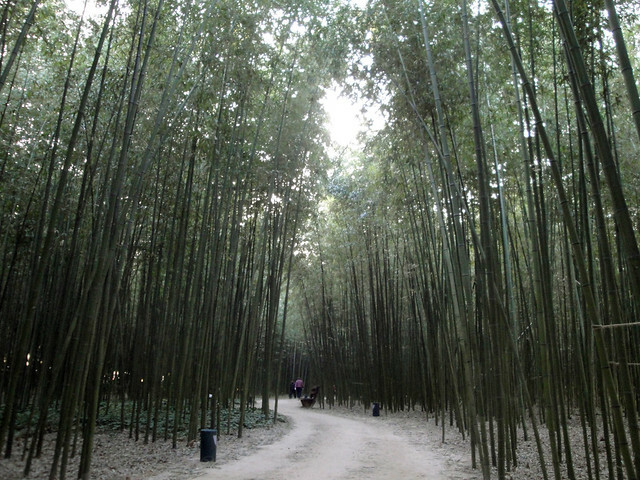 More exercising at the bamboo forest. 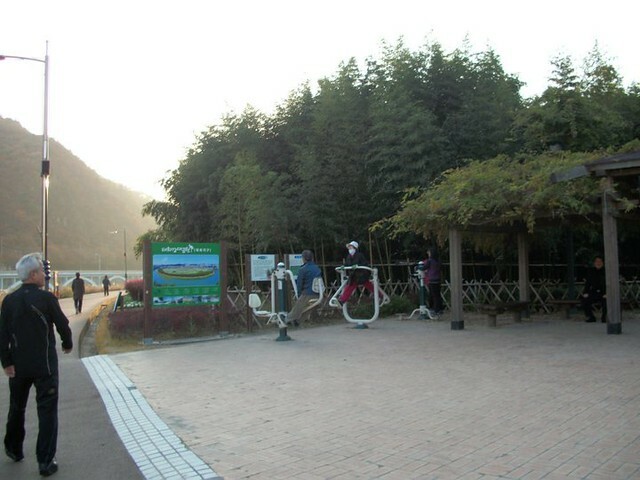 Exercise stations are common around well-trafficked places in Ulsan. My fall in Ulsan was greatly improved by the purchase of a bike. This is my bike on it’s first day out on the town. 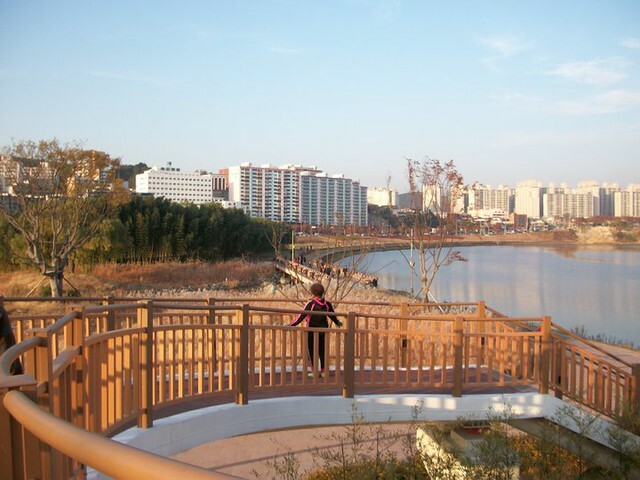 Ulsan is a very bike-friendly city. 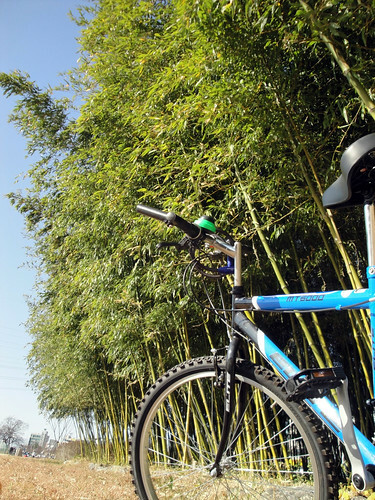 There’s a big bike path along all of the rivers, as well as along every major road-way. Bicycling on the sidewalks when there isn’t a bike path is completely acceptable. Actually, biking wherever you want is pretty acceptable – but it’s the same for scooters and parked cars. Traffic rules seem to be more like guidelines, especially for smaller vehicles, which makes biking around a bit chaotic, but also easier. I imagine it must look a bit more scenic at times other than winter, when everything is not brown. As is the case in most of the world, German beer is very popular here. 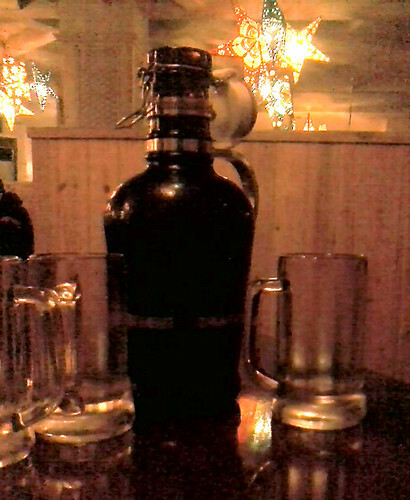 I believe all of the micro-breweries I’ve come across make German-style beers. Not that it’s anything to complain about – the Germans make some good beers. Having a bike also makes the eastern part of the city (and the ocean!) much easier to get to. Buses go between the city center and the ocean as well, but it takes about forever with all of the stops along the way, and I always seem to end up on the wrong bus (or in some cases, multiple wrong buses). 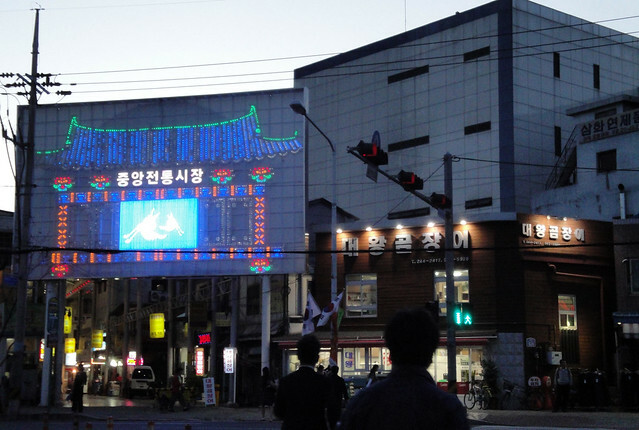 And of course, as a native English teacher, my weekends in Ulsan have had plenty of ‘going out.’ Going out in Ulsan almost always happens at one of the two downtown areas. ‘Old downtown’ is on my side of the river, and has most of the city’s foreigner bars. 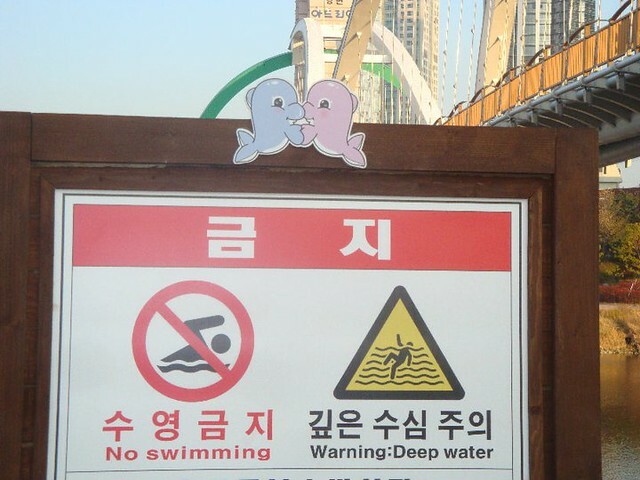 Ulsan tends to get a bad rap amongst the foreign English teachers in Korea, and is generally overlooked for it’s bigger sister city, Busan. As a city, I find it is lacking in some aspects – there isn’t really any music or art culture to speak of, and the majority of the young adult population leaves to go to university in a city with better schools. 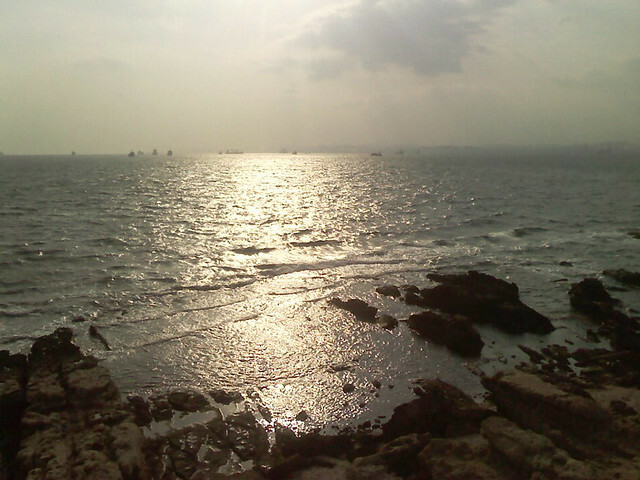 But it is very scenic, being full of mountains and rivers and coastline. 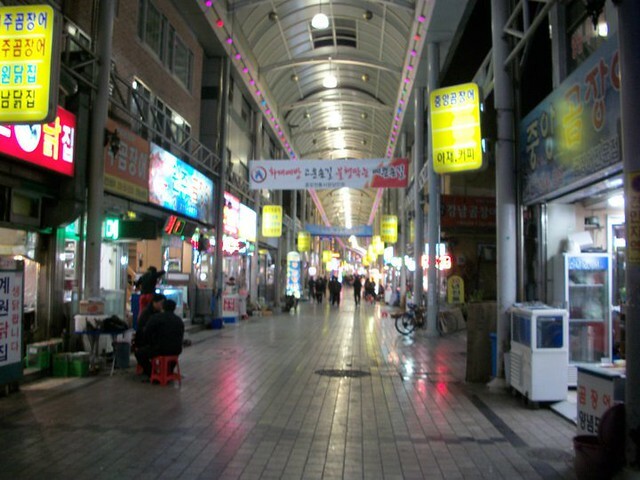 While I appreciate the nightlife and culture of Busan, I do think Ulsan has a unique character and certain charm that shouldn’t go entirely overlooked.